This species is accepted, and its native range is W. & S. Central U.S.A. to Mexico, Ecuador to S. South America. 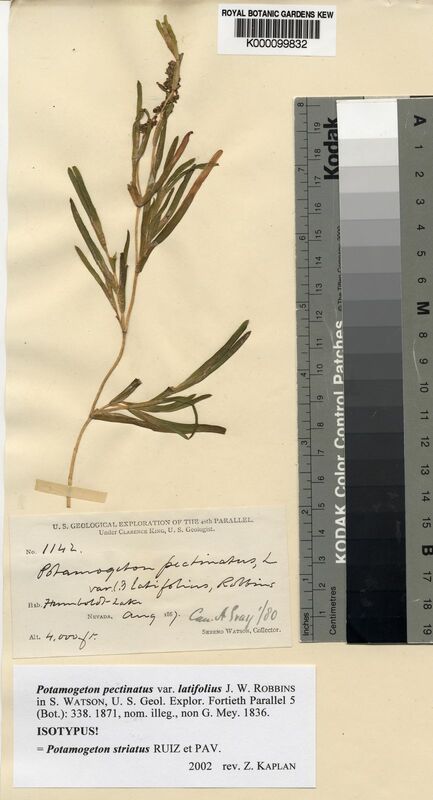 Potamogeton australis F.Phil. ex Phil. Potamogeton pectinatus var. striatus (Ruiz & Pav.) Hagstr. Potamogeton striatus Ruiz & Pav.